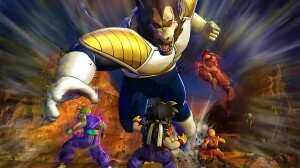 The first trailer for Dragon Ball Battle of Z has been released and shows off some epic new features including group battles, something DBZ game makers should have put in years ago. Other than the team battle the graphics and game play don’t look like anything we haven’t seen before but this is just a early trailer. The best thing about Battle of Z will be the extensive list of playable characters. It’s got all the classics including the new God Goku and hopfully Birusu.